The Cincinnati Bengals apparently got an aggressive trade offer for A.J. McCarron, but managed to turn it down. All offseason, despite lingering rumors, the Cincinnati Bengals have denied they are shopping backup quarterback A.J. McCarron. Then, a report Denver Broncos were interested was blown off as “fake news” by general manager John Elway earlier this week, adding some late fuel to trade rumors surrounding McCarron. Now, Albert Breer of The MMQB has reported the Bengals turned down a second-round pick for McCarron at some point this offseason, too. The logic being, per Breer, that a draft pick would have to be used to replace him behind Andy Dalton, and he may have two years of control left before he could leave and get the Bengals a compensatory draft pick anyway. A draft pick merry-go-round in some ways, and the Bengals don’t want to get on it. McCarron was kept on the non-football injury list until December of his rookie year in 2014 and he has filed a grievance to be credited with an accrued season. If it’s not granted, he will be a restricted free agent in 2018. 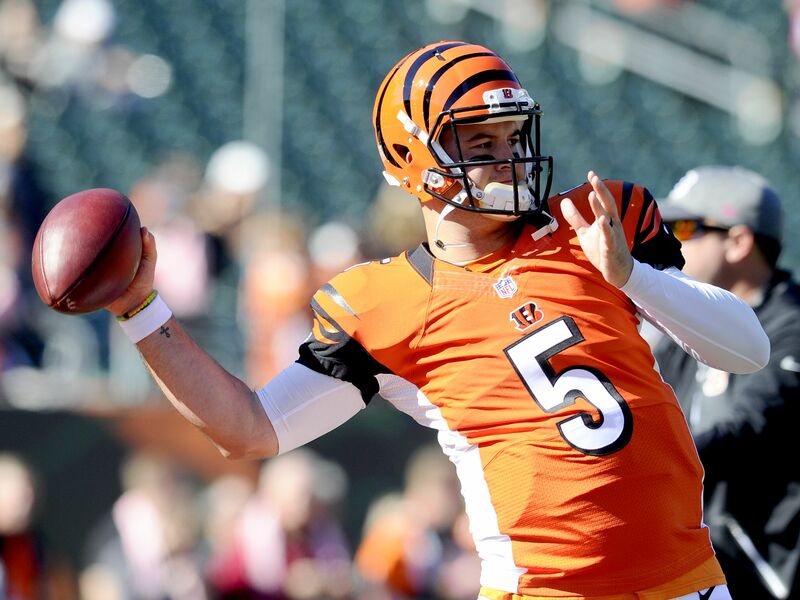 During he 2015 regular season, McCarron played in seven games and started three, completing 79 of 119 passes (66.4 percent) for 864 yards with six touchdowns and two interceptions. He also started the Bengals’ playoff loss to the Steelers in place of an injured Andy Dalton, but that’s the only meaningful action McCarron has seen so far in his career. Speculation over what team offered Cincinnati a second-round pick for McCarron can start with the Broncos, despite Elway’s aggressive, Trump-style dismissal of their interest. The Cleveland Browns and New York Jets were also rumored to have interest in McCarron during the offseason, but the Bengals’ rumored asking price of “at least” a first-round pick probably means trade talks never really got going. If that offer came, the Bengals look foolish for not moving McCarron for a second-round pick while they could get one for him. Of course, a team that would give up that high of a pick for a quarterback with four career starts doesn’t look very smart either.